When my friend Natania suggested we take a walking tour of Old Salem, my first thought was: Hmmm. Should I pretend I know what and where Old Salem is? Or should I fake it? As I usually do, I decided to fake it. 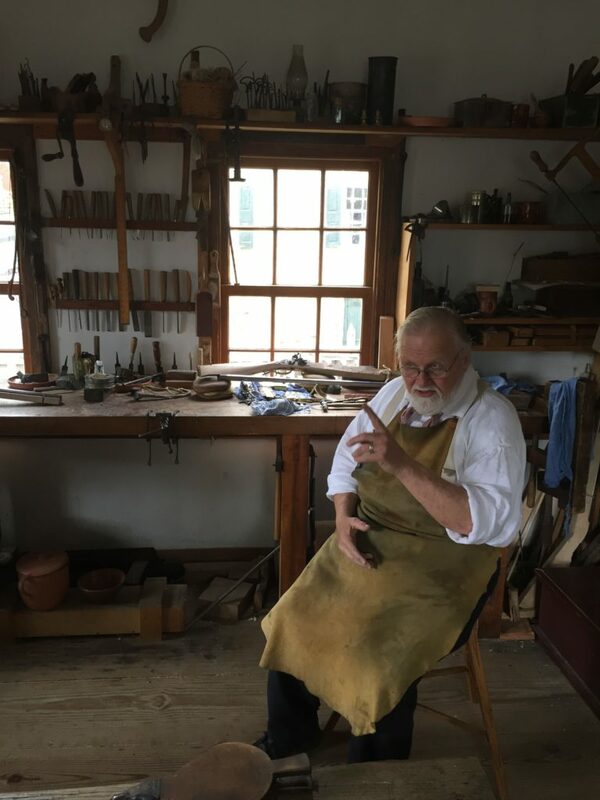 I accepted the invitation and immediately went online to read up on Winston-Salem’s Old Salem Historic District, a perfectly preserved 18th-century village founded by members of the Moravian Church. The Moravians had already established several communities in Pennsylvania – Bethlehem, Nazareth, Lititz – and looked southward for their next settlement. Construction of what was to be called Salem began in 1766, when the United States was still very much under British rule. Indeed, the American colonies were in an uproar that year over taxation without representation. The Stamp Act, passed by British Parliament in late 1765 as a tax to fund Britain’s army in the colonies, was finally repealed in March 1766 – but on the very same day, Parliament passed the Declaratory Acts, reasserting Britain’s authority over all colonial legislation. As protests raged and tensions between the colonies and Britain escalated, Salem rose. Originally, everyone who lived in the community had to be members of the Moravian Church, which owned all of the town’s property. 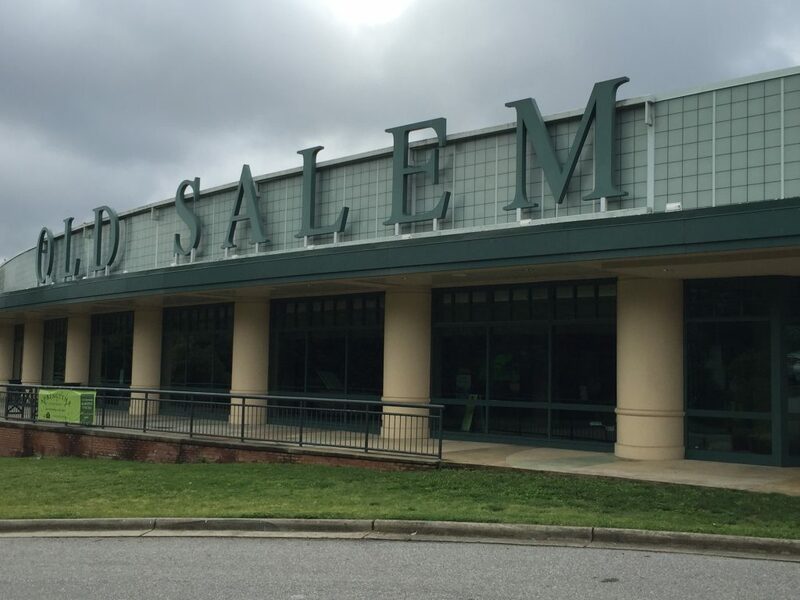 Residents could be expelled from Salem if they were found to have violated the faith’s codes. Our walking tour covered nearly two miles. The main street through the historic district runs slightly uphill as you leave the visitors center. The village is frozen in an era before wheelchair accessibility was a concern – with some of the sidewalks bulging from ancient tree roots – but wheelchair users can ask for a tour route designed for wheelchair access. 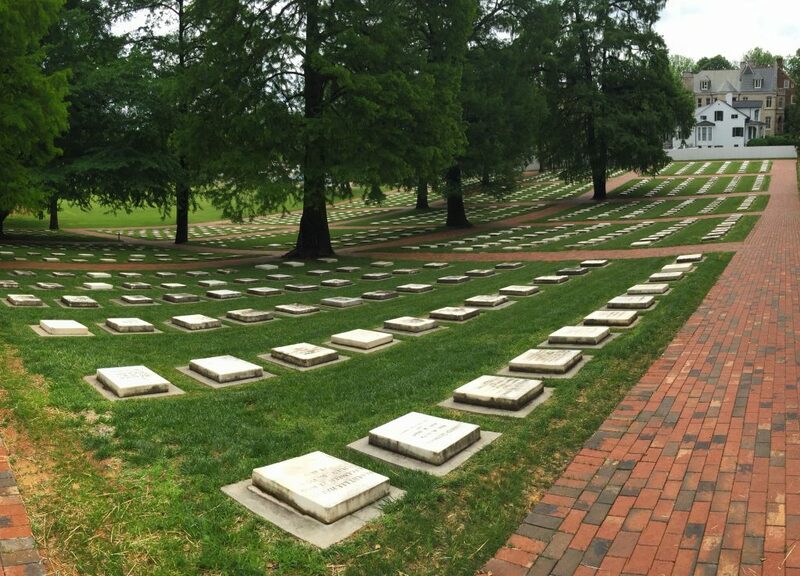 Old Salem offers a fascinating glimpse of our state’s past and a walking tour is a great excuse to pile up some steps. So get outside, North Carolina! We started our tour at the visitors center, which includes some informative displays about the history of Old Salem. At the end of our trip, we were glad we purchased the all-inclusive passes, rather than the passes that allow you to choose only two buildings to visit. And don’t let those gray clouds worry you – they burned off shortly after we arrived and we enjoyed a day of glorious North Carolina sunshine. 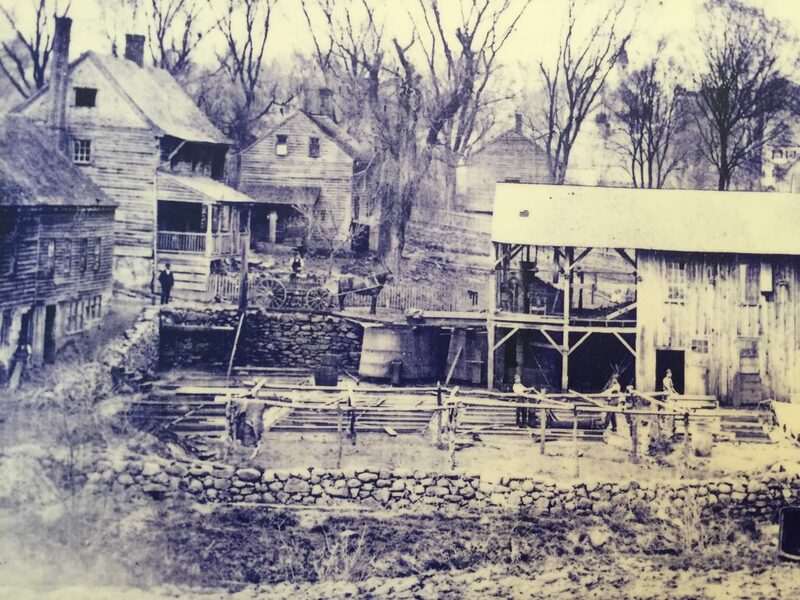 At the visitors center, you can see some photos from the late 1800s that provide a vivid portrayal of just how tough life was back then – and proof of how well preserved Old Salem is today. Heritage Bridge connects the visitors center to the historic district. Built in 1999, the Heritage Bridge connects the visitors center to the historic district. 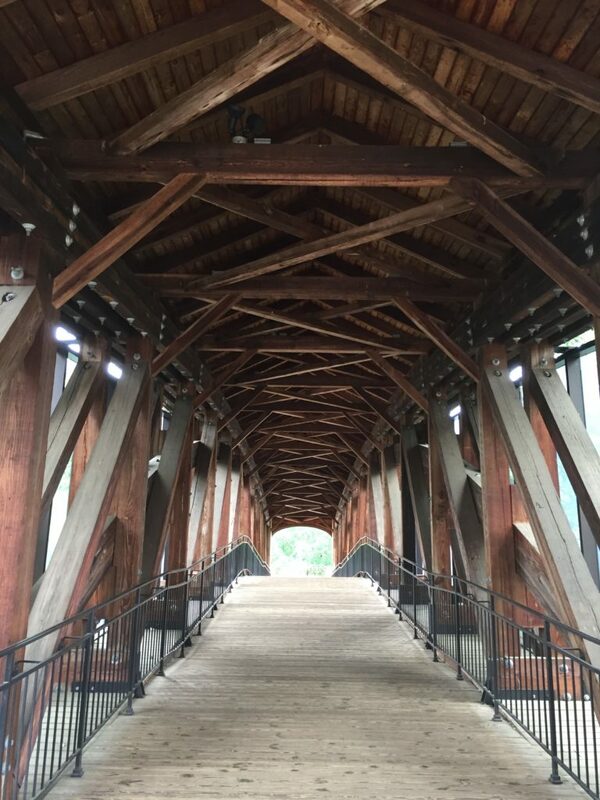 The bridge was designed to mimic historic bridges of the 1800s. I was fascinated by the engineering of it, with its massive arching supports that looked like the leaf springs you’d see on a truck – except made of wood. Timothy Vogler Gun Shop built before 1831. Our first stop in the village was the Timothy Vogler Gun Shop, built before 1831. The guide told us that nearly all of the structures in the historic district rest in their original places. This building was used as a gun shop – where Vogler did the metal work, woodworking and tooling – until the 1890s. 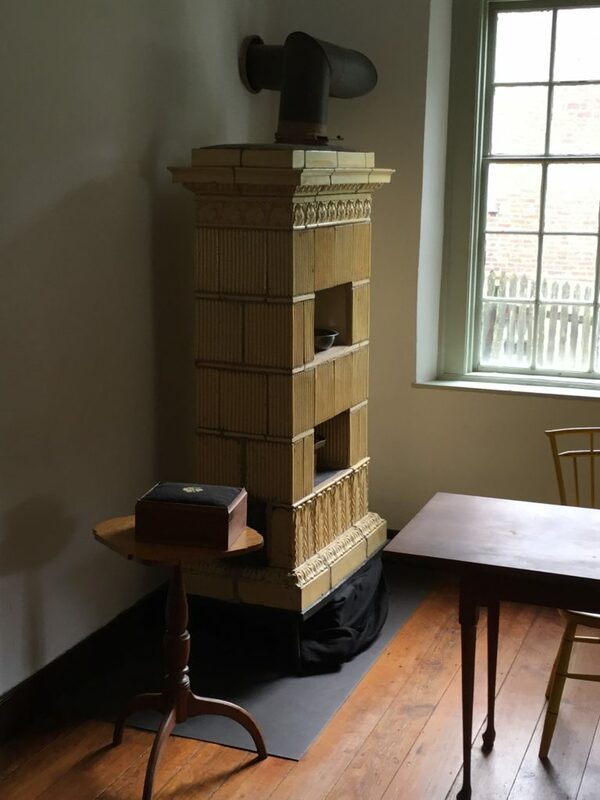 The Vogler House – like most of the buildings we toured in Old Salem – includes an impressive masonry heater/stove. They’re essentially large radiators, ingeniously designed. Metal heats faster than masonry, but the ceramic tiles of a masonry heater take much longer to cool, so a masonry heater will provide heat for a longer period of time at a much lower temperature than a metal stove. Similar technology is still being used today, although the ceramic tiles are now replaced with heat-resistant plaster. 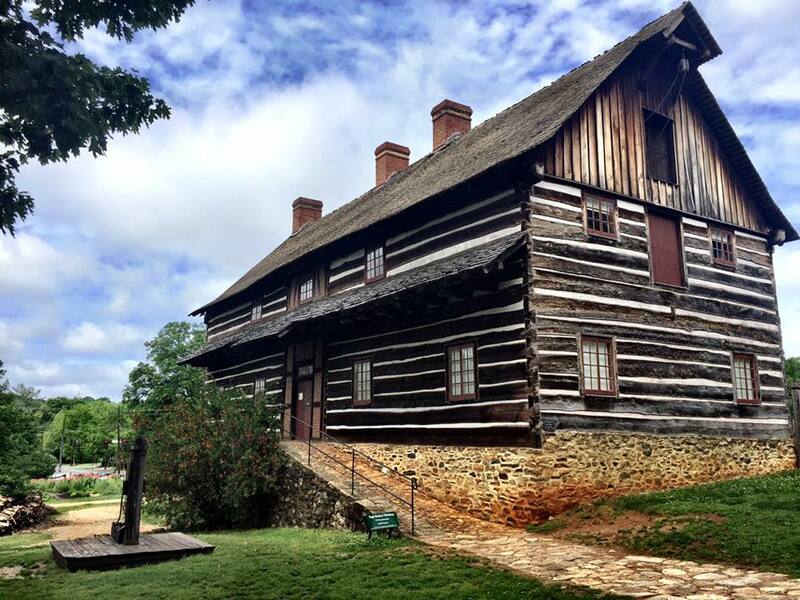 The Single Brothers’ House – built in 1769 – was where unmarried Moravian men lived, worshipped and ate their meals. A short walk away was the Single Sisters’ House. The dining area of the Single Brothers’ House was beautifully spartan. 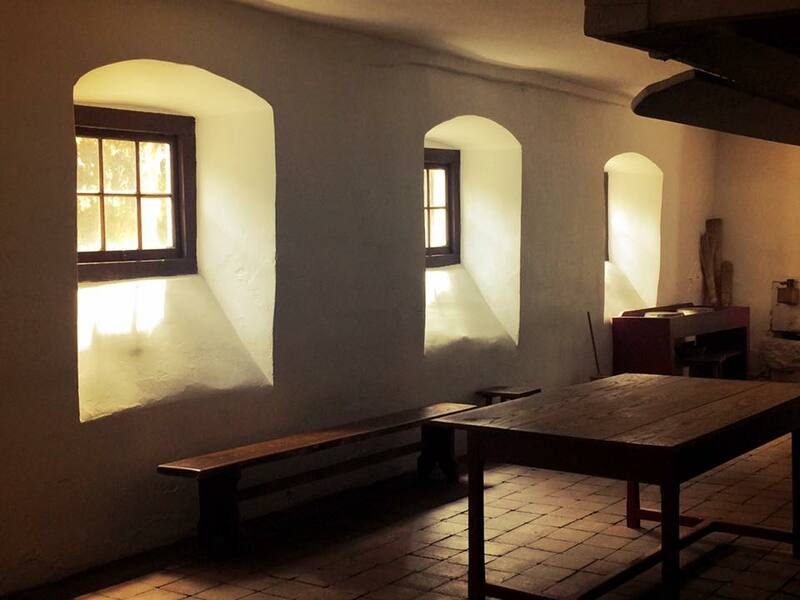 With the pale lighting, you could even mistake this photo for an 18th– century painting. Behind the Single Brothers’ House is the Single Brothers’ Workshop. Behind the Single Brothers’ House is the Single Brothers’ Workshop, where the house’s residents practiced trades like tailoring and pottery. 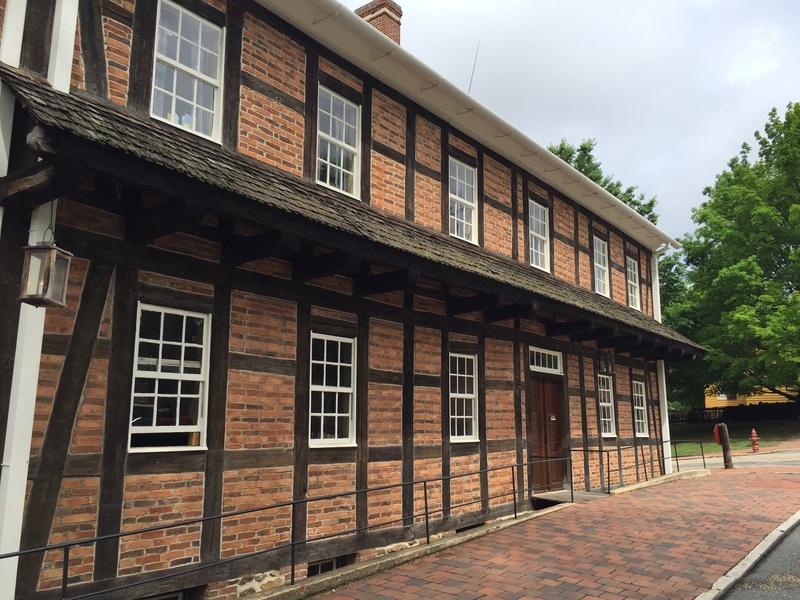 It’s one of the few buildings in Old Salem that has been reconstructed; the original structure was demolished in 1921 to make way for an apartment building, with this new version built in 1979. 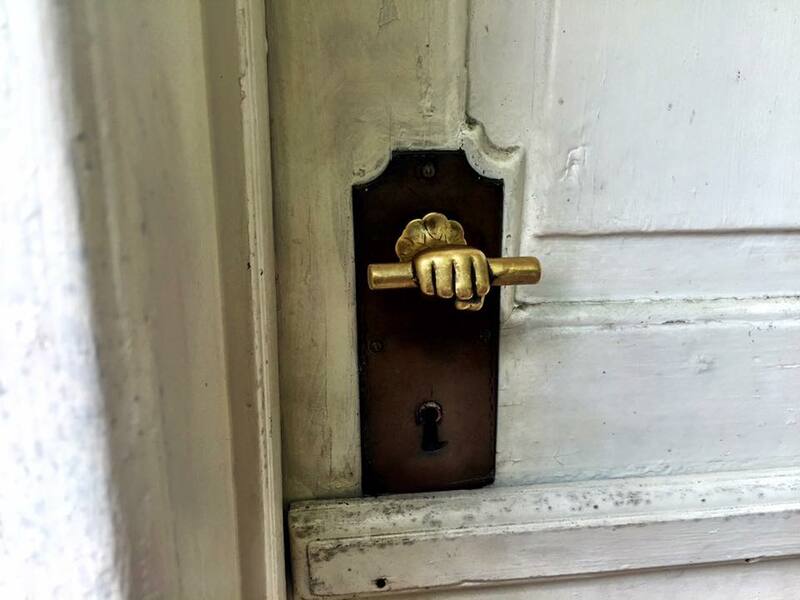 This may be the coolest door knob I’ve ever seen, but it doesn’t look very inviting. Appropriately, we ended our walking tour at the Moravian graveyard called “God’s Acre.” I think this was my favorite spot on our tour. It seems like a pretty peaceful place to spend eternity.